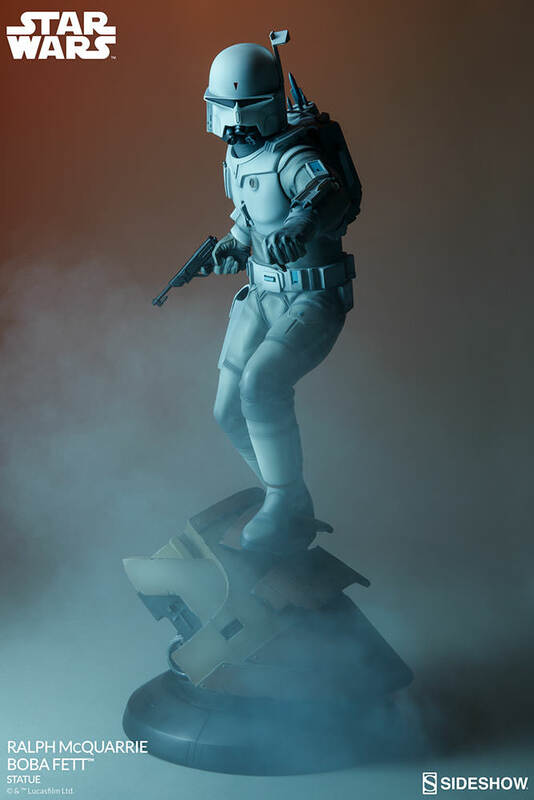 One of the first new characters to be designed for Star Wars:The Empire Strikes Back, Boba Fett originally began as a super trooper, with a striking aesthetic inspired primarily by Darth Vader and the Stormtroopers. 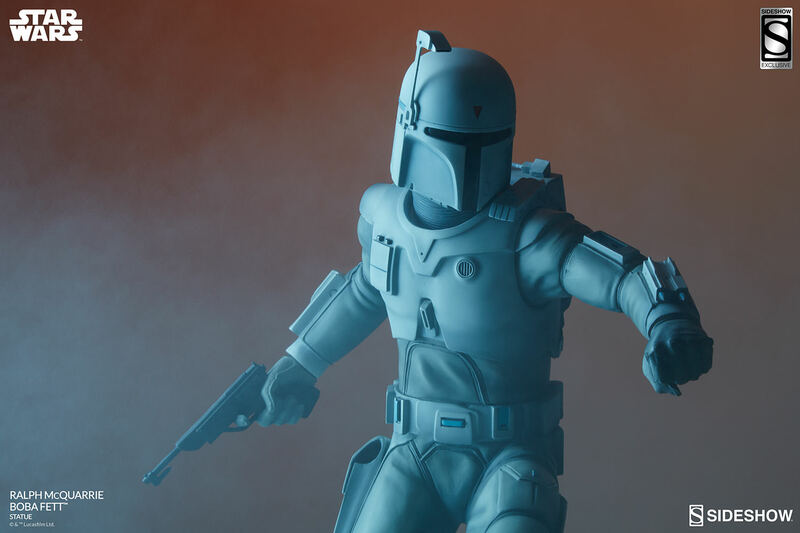 As McQuarrie worked closely alongside Star Wars Art Director Joe Johnston, the character evolved into the ruthless Mandalorian bounty hunter we know today. 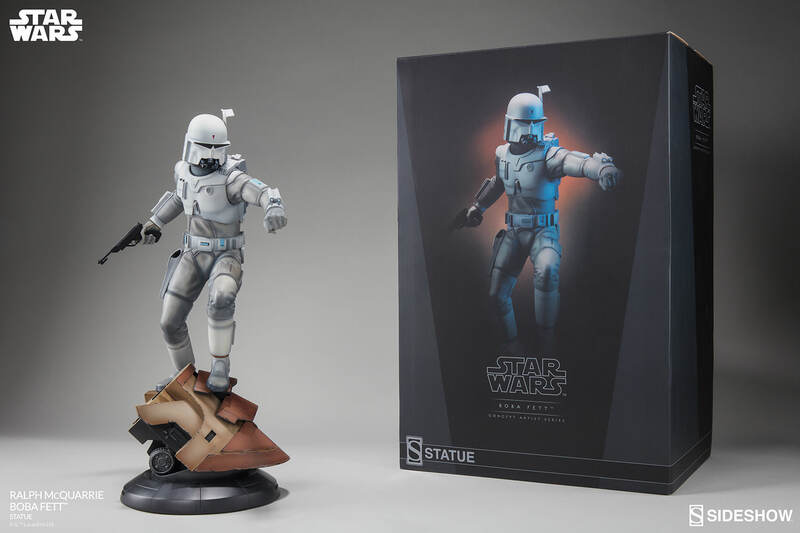 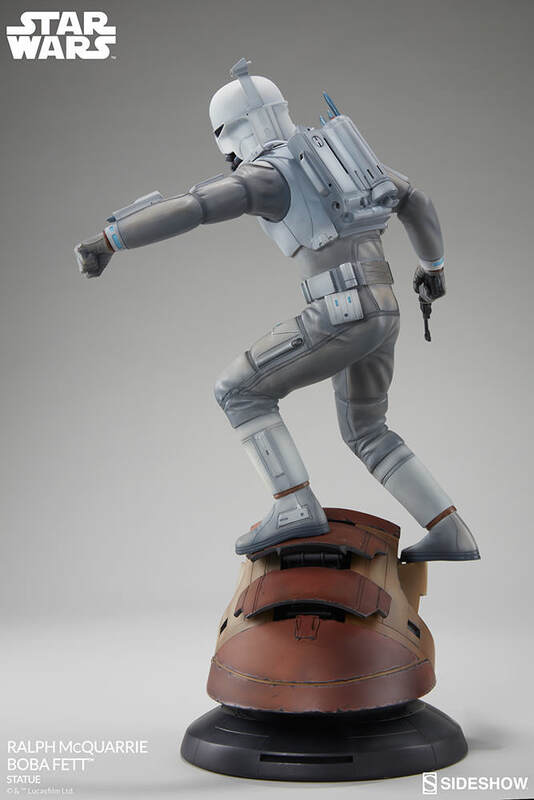 Capturing the spirit of these early explorations, Fett appears in his original all-white armor, leaping into action over a base inspired by the Slave I. 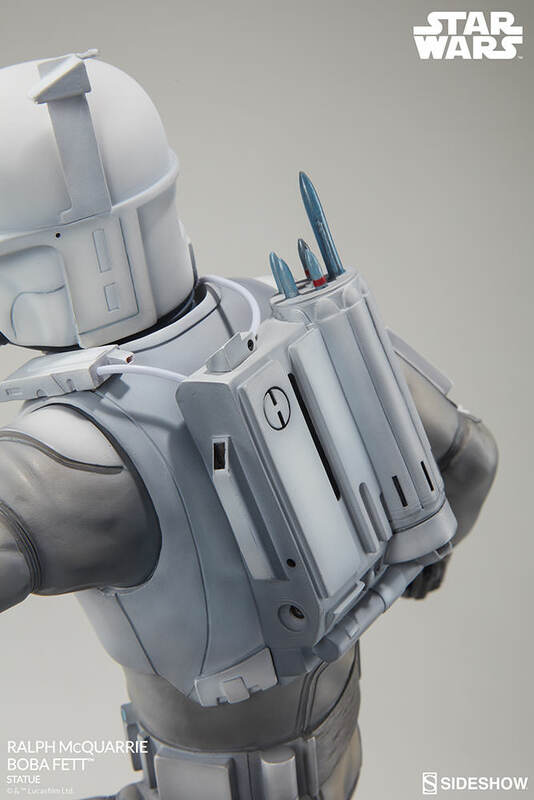 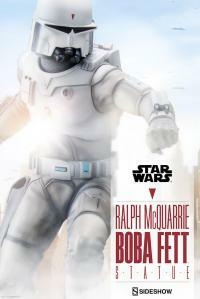 Reviewing a broad spectrum of McQuarrie’s imaginative designs for Boba Fett, Sideshow’s artists have translated his iconic artwork in a brilliant homage to a Star Wars that is both familiar, yet never was. 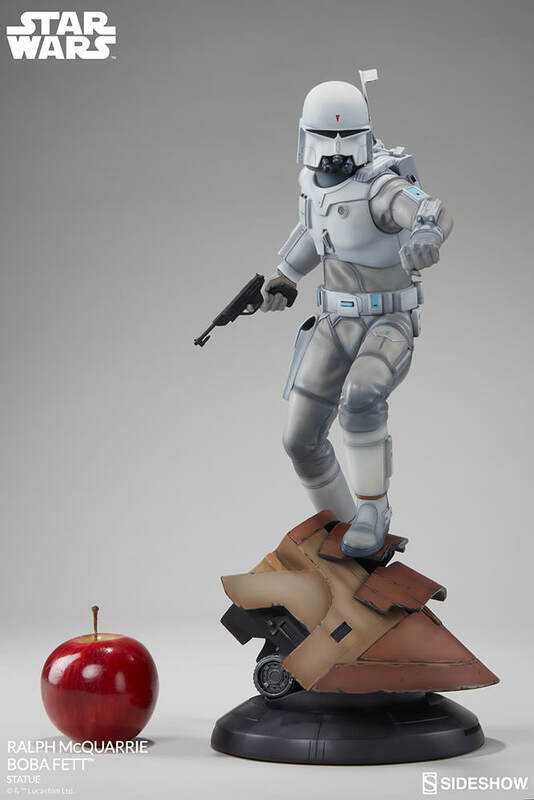 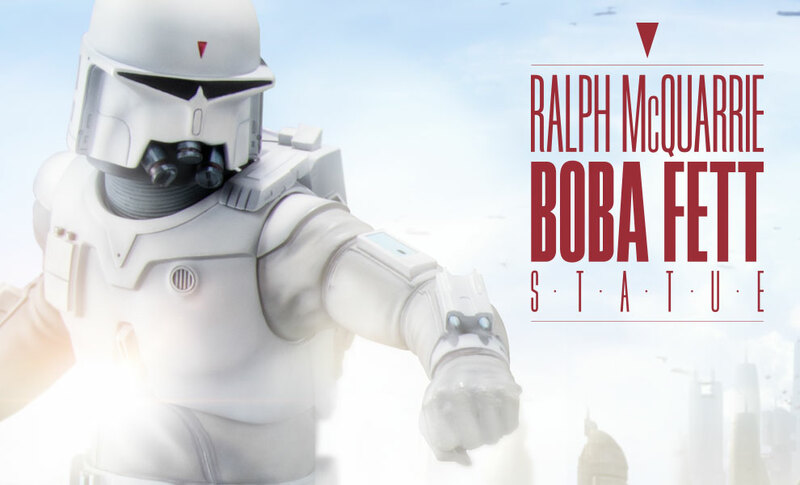 Be sure to check out more from Sideshow’s Ralph McQuarrie Artist Concept Series, including the Stormtrooper and Darth Vader, coming soon! Ralph McQuarrie’s conceptual drawings and paintings were instrumental in bringing George Lucas’ epic space saga to the big screen, envisioning the vast worlds of fantastic heroes, villains, vehicles and aliens that would come to be known as Star Wars™! 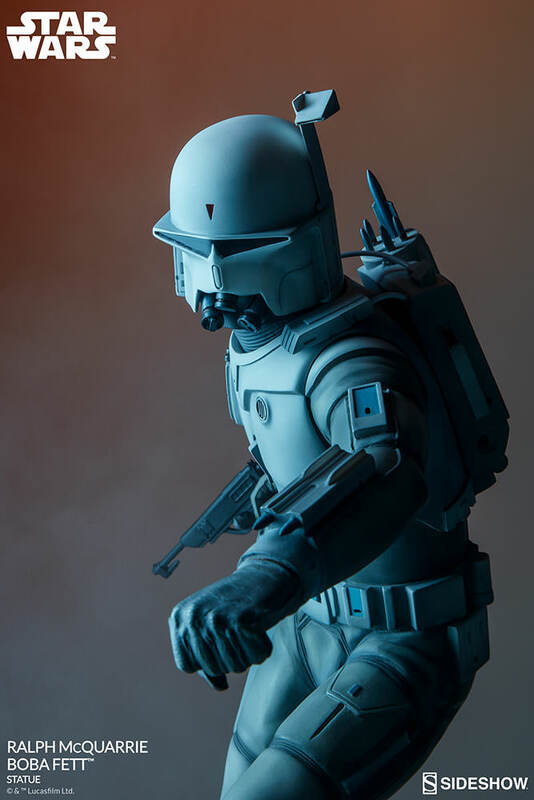 One of the first new characters to be designed for The Empire Strikes Back, Boba Fett originally began as a super trooper, with a striking aesthetic inspired primarily by Darth Vader and the Stormtroopers. 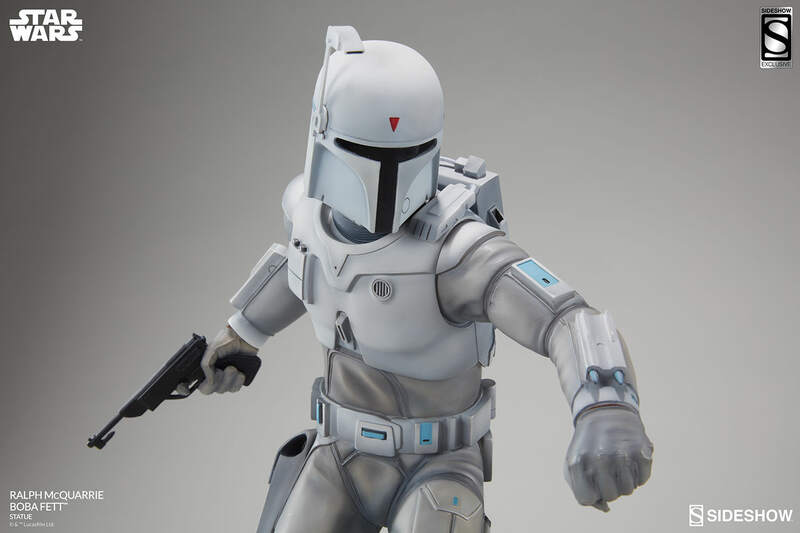 As McQuarrie worked closely alongside Star Wars Art Director Joe Johnston, the character evolved into the ruthless Mandalorian bounty hunter we know today. 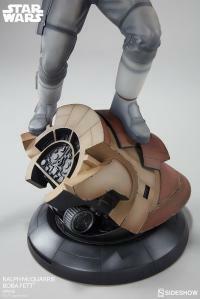 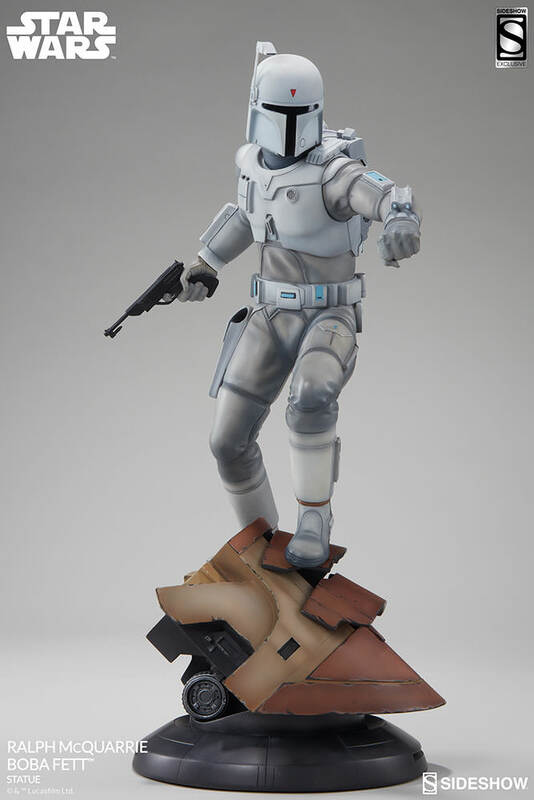 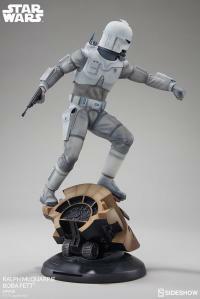 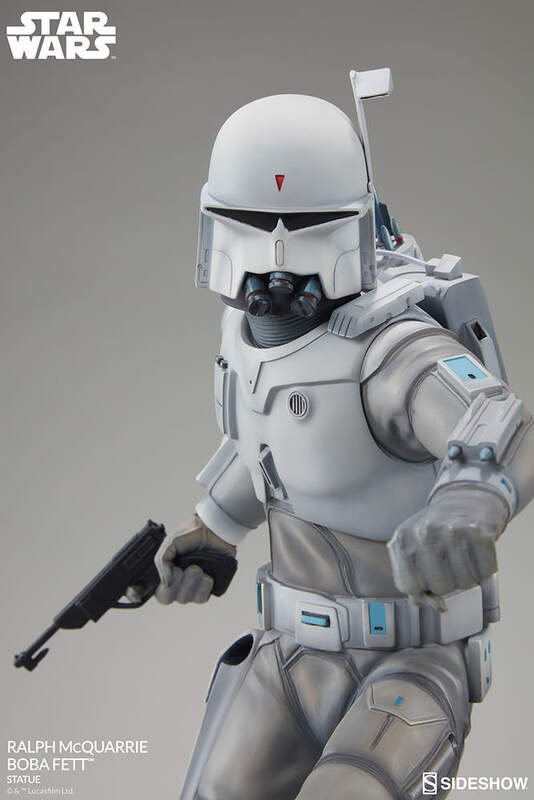 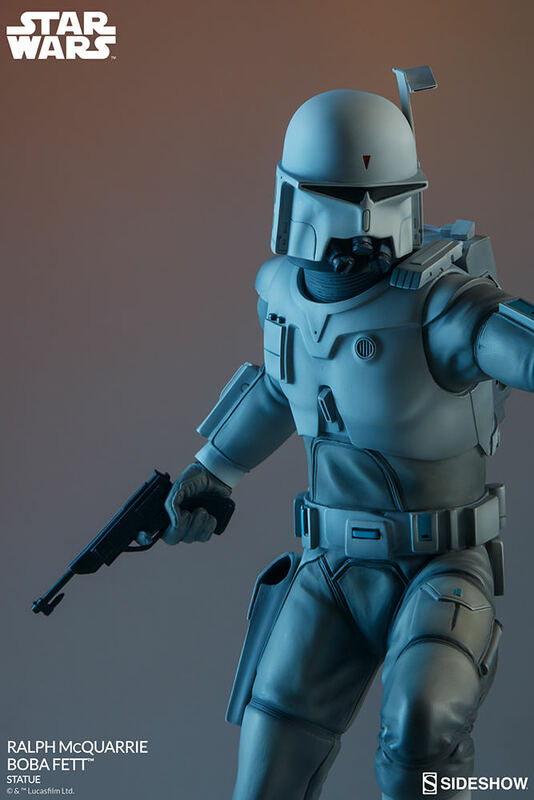 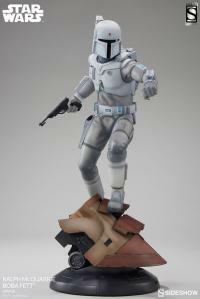 Capturing the spirit of these early explorations, Fett appears in his original all-white armor with two unique helmet designs, leaping into action over a base inspired by the Slave I. 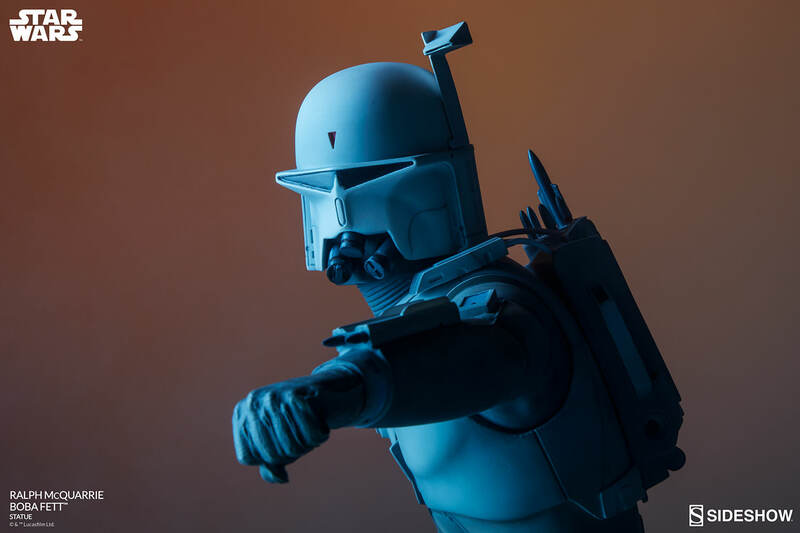 Reviewing a broad spectrum of McQuarrie’s imaginative designs for Boba Fett, Sideshow’s artists have translated his iconic artwork in a brilliant homage to a Star Wars that is both familiar, yet never was. 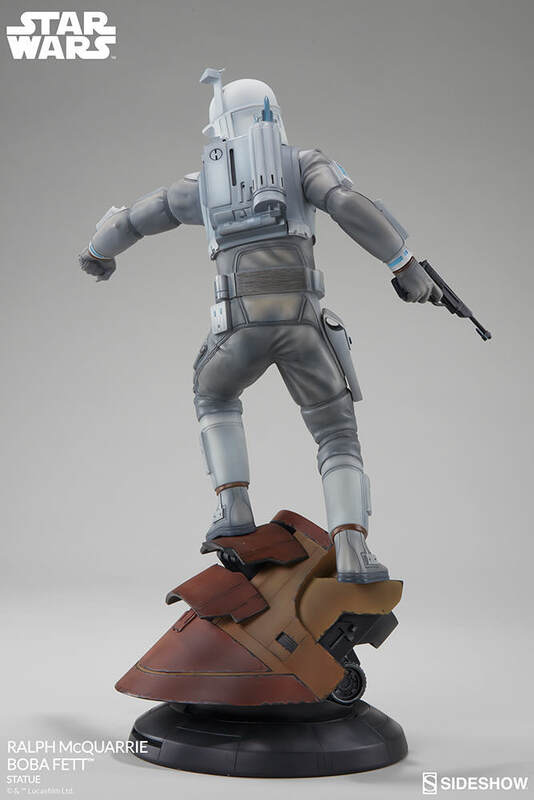 Pay as little as $141.66/mo.